Young peoples’ lives are saturated with media. Facebook and Twitter feeds, Google ads, and YouTube videos are with them everywhere they go, not to mention the radio, TV, and print media inputs they are exposed to. 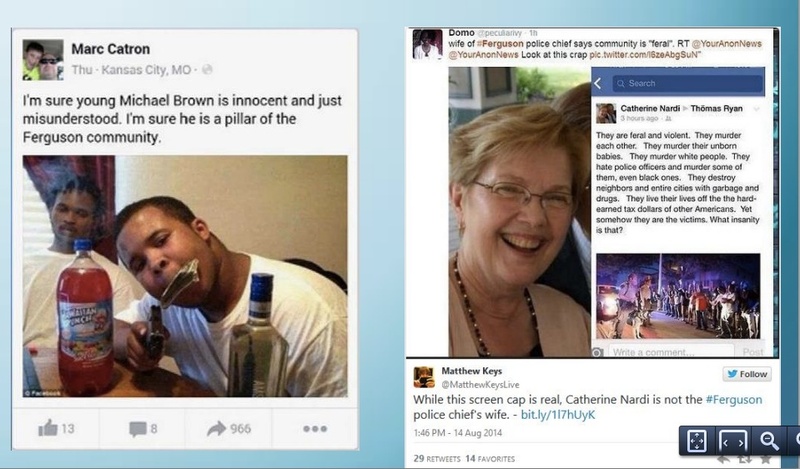 The image on the left is NOT Michael Brown, and the image on the right is NOT the wife of the Ferguson police chief. Yet these images pop up in students’ (and our) media worlds and shape our perceptions of political, social, and economic issues.